An artist’s impression of how the towers would look overlooking the bay, by MYGG Architecture. Updated - See reaction below by the developer, government - The Seabank Group is selling high-end residential apartments in two towers planned on the former ITS site in St George’s Bay – on land still owned by the public and where residential development is not permitted by planning laws. 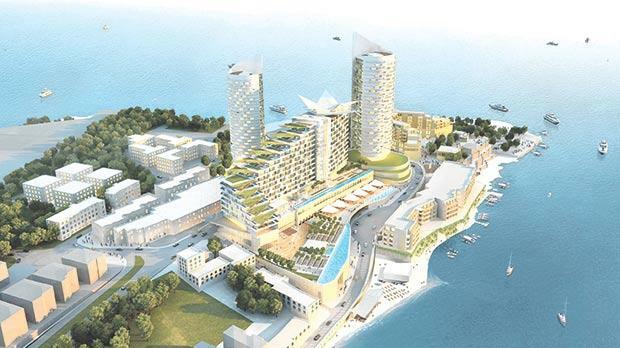 The group, owned by Silvio Debono of Seabank Hotel in Mellieħa, is accepting deposits for the luxury apartments, one prospective customer told this newspaper. Plans being shown to potential clients by Remax, the real estate agency, show one tower of 29 floors and another of 23. The two towers will be surrounded by a shopping mall on three levels, offices, a casino, a Hard Rock hotel, as well as a café on the beach. The foreshore was never part of the Institute of Tourism Studies (ITS) complex but seems to have been added to the land, according to the plans. The tender for the land was won by the Seabank Group, which was the only bidder. But the land has not yet been transferred to the group and it is therefore still public property. The tender – which cost €10,000 – called for tourism development, in line with local plans. Other potential investors feel they were put at a disadvantage when the government issued a call for bids for the purchase of the land as, they say, Seabank was left with no competition in terms of the price it could offer. Sources close to the Office of the Prime Minister said that the group had offered €6.5 million for the land. An aerial view of the site for the towers at St George’s Bay, by MYGG Architecture. But according to several industry experts, the land is worth between €80 million and €100 million if such a project – a high-rise residential development – is permitted. “This is daylight robbery of public land,” said one expert, who preferred to remain anonymous. A real estate agency manager agreed, drawing a comparison with 600 square metres of public land located nearby, on the outskirts of Paceville, that was recently sold for €3.4 million. That site is inland with no access to the sea and views. “It is incomprehensible how 25,000 square metres of land located by the sea in a prime area can be given away for €6.5 million. Even if triple that were offered, it’s still an excellent bargain,” he said. Industry sources agreed that the fact that the residential apartments were being sold indicated the group had some kind of assurance that planning laws would be adapted to suit the project. “Nobody in his right mind would sell apartments on a plan that is not in line with planning laws. Having the reassurance that this will be fixed means deposits received from the sale could be used to pay for the land,” another source said. The apartments are being sold at €3,500 per square metre – a price tag that can reach values of over a €1 million depending on the size and level of each apartment. 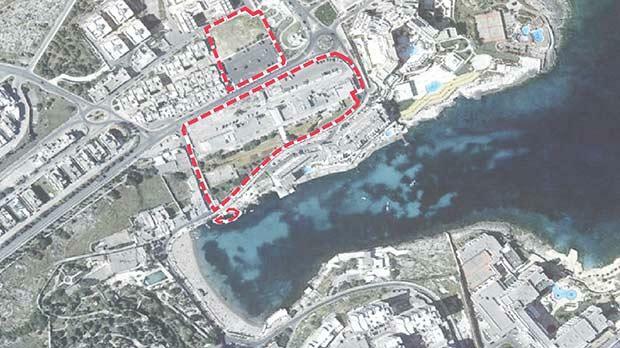 “The government is not acting in the public’s best interest,” an architect told The Sunday Times of Malta, saying this smacked of a deal reached behind closed doors. According to planning experts, the right procedure would have been for the local plan to be revised first, following the necessary public consultation, and then reissuing the tender to ensure a level playing field according to public procurement rules. Apart from losses on the value of the land, the public is forking out another €50 million for the relocation of the ITS to Smart City so the land can be freed up to accommodate the Seabank project. 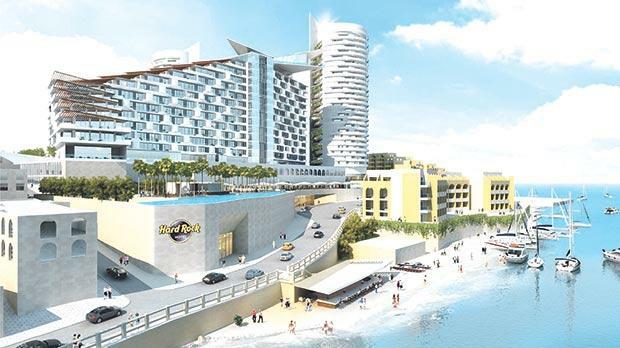 The development project – branded City Centre – is being sold as a “destination in the Golden Mile” as St George’s Bay is being referred to in the promotional video for the apartments distributed by Remax. “The hotel and residences are not the project. They are part of a destination… City Centre will be smack in the middle of the Golden Mile. A centre of gravity and a new reality in the bay area,” the promotion states. Rumours of the Seabank Group’s takeover of the ITS land reached this newspaper in September 2014. When questioned, both Mr Debono and the government had at the time denied any interest in the sale of the land. 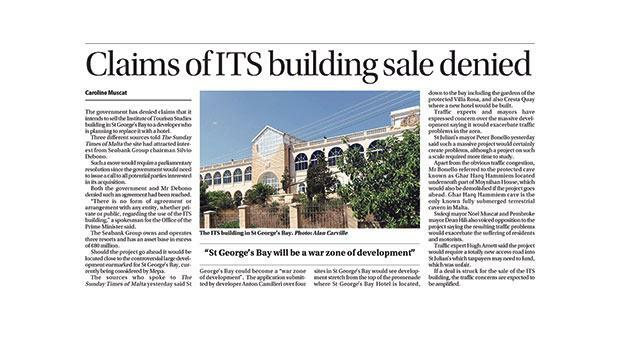 Reference is made to the story which appeared in the printed Sunday Times (15 May, 2016) regarding the Seabank Group’s bid in the call for tenders to develop the former ITS site in St. George’s Bay, St Julians. Arthur Gauci, CEO of the Seabank Group, in a reaction, said the group was the only tenderer which submitted a bid. Following due process conducted by the adjudicating panel, the group was classified as the preferred bidder. The call, he pointed out, was for an “upmarket mixed tourism and leisure project”, including residences. Once the Seabank Group was classified as the preferred bidder, it embarked in earnest on the project. A myriad of architects, designers, suppliers, services providers and suppliers, real estate agents and many others were mobilised to have a workflow plan ready. This was normal practice in the case of smaller projects, let alone one of such substance and scope. "Obviously and clearly, for the project to move forward it requires the government’s final decision, a decision we are currently awaiting." Mr Gauci said local and foreign interest in the group's residential units was way beyond its expectations "and this fills us with more enthusiasm to carry forward this innovative and unique project." Some potential clients, he said, had even asked to reserve the units or floors they were interested in. Despite this heavy demand, no promise of sale agreements had been signed, let alone contracts with such interested parties. Mr Gauci said the Seabank Group is seeking legal advice to safeguard all its interests and rights at law. "Had the journalist asked government for its version of facts, as one would have expected for a story which was given such importance, the newspaper would have learnt that a number of facts and amounts being quoted are incorrect, and that there are currently exercises and negotiations that will ensure that the prices paid for hotel, real estate and commercial components of the project are in line with the market standard," the government said. "Regarding reported deposits on sale of property, please note that any such exercise is not sanctioned by government, and that if a final agreement on the project is reached, the deal would need to get government approval in terms of the the request for tender and applicable laws. "Finally, the tender document for the site provided all the necessary details which the paper is now questioning, making it obvious that it is relying on second hand and incorrect information."